The revised Punto, shown, returns to a clean front end similar to the original 2005 model. TURIN -- Fiat is giving the Punto subcompact, the company's best-selling car in Europe, new front-end styling and fuel-efficient engines in a bid to slow falling sales. The revised Punto will debut at the Frankfurt auto show on Tuesday. At its launch in 2005, the Grande Punto model had a clean design by Italdesign-Giugiaro, but this was controversially altered in 2009 when the car received and face-lift. The car's name was also changed to the Punto Evo. 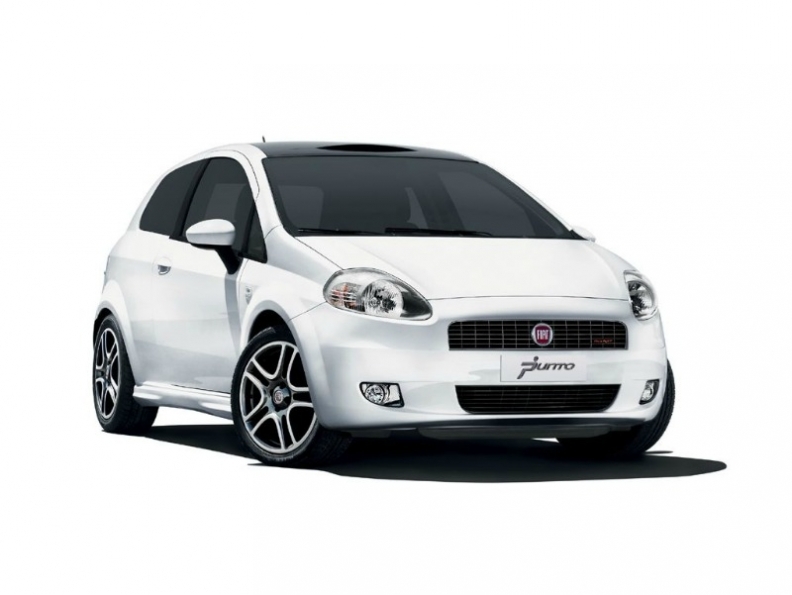 The Punto Evo added dark plastic inserts in the front and rear bumpers and moved the Fiat logo onto the engine hood under a chrome bar, reminiscent of the 500 minicar. With the latest face-lift Fiat has changed the car's name again -- it's now called simply the Punto -- and returned to a clean front end that is basically the same as the original 2005 model. To broaden the appeal of a model that is already six-years old – the average age when competitors replace their offerings – Fiat is adding its two-cylinder TwinAir engine. Equipped with the 85hp turbo TwinAir, the Punto cuts carbon dioxide emissions to 98 grams per km from the 123g/km currently offered by the cleanest gasoline engine, the 69hp 1.2-liter four-cylinder unit. The Punto Evo tried to copy the styling of the Fiat 500. Fuel consumption is around 4.1 liters per 100km (69 UK mpg; 57.45 U.S. mpg) compared to the 5.2 liters per kilometer (55 UK mpg; 45.79 U.S. mpg) of the 1.2-liter model. The diesel offering in the new Punto is equipped with an intelligent alternator and variable aerodynamics and the the 85hp 1.3-liter MultiJet reduces emissions over the previous Evo diesel engine by 5g/km of CO2 to 90g/km. 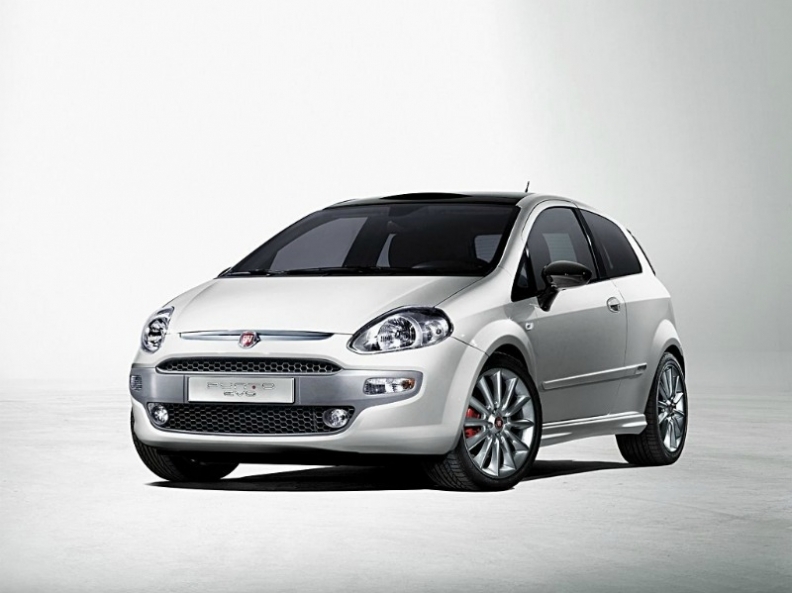 The Punto is by far Fiat's best-selling model in Europe and competes in Europe's largest market segment. The original Grande Punto had an Italdesign-Giugiaro design. After the end of the scrappage subsidies, Punto's deliveries fell faster than its direct rivals and it ranked just sixth last year in overall sales, with 279,860 deliveries. In the first half of this year it moved up a notch to fifth place with 132,228 sales, down 17.8 percent in a segment that declined 9.2 percent to 1.83 million units. 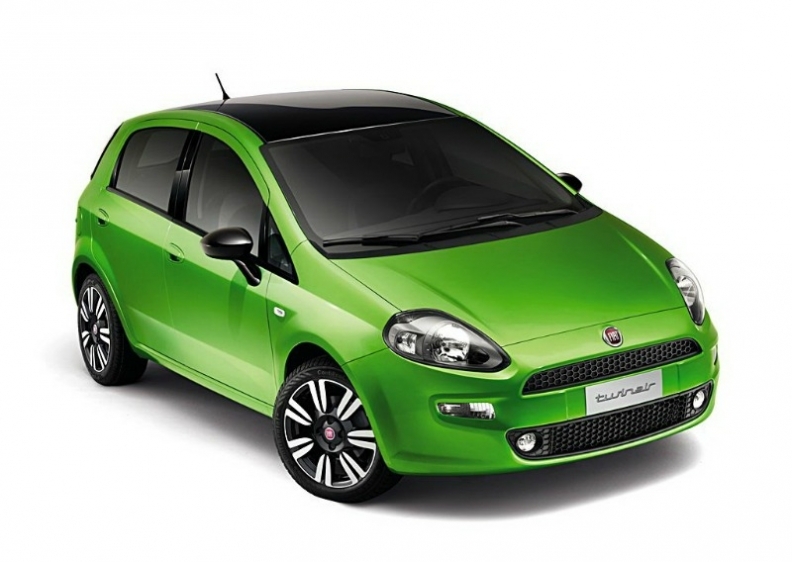 Fiat plans to begin European sales of the revised Punto at the beginning of next year.